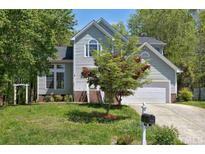 Find Chapel Hill, NC Homes for sale. View Photos, Maps and MLS Data Now! A Jack Nicklaus Signature designed 27 hole-golf course along with many resort quality amenities. MLS#2249947. 330. The Preserve At Jordan Lake - PLUS over 2,500 sq ft of finished basement with a wet bar, theater room, family room & more MLS#2249725. 5055. Meadowmont - HIGH end decking. See photos for more info! MLS#2249639. 118. Over 4,000 sf filled with natural light and sprawling across the lovely, wooded lot includes separate entry apartment option, loads of flex space, central fireplace, newly refinished hardwood floors, new carpet, new interior and exterior paint. Adjacent lot available! MLS#2248300. 5026. Tupelo Ridge - Early house by builder now renowned Bold Construction. MLS#2249837. 143. Bowdens Bend - This finely designed home is in a class by itself. MLS#2249642. 1337. Lake Hogan Farms - Enjoy Lake Hogan community pool and tennis. MLS#2249630. 136. Fairoaks - Beautifully Landscaped Backyard w/Raised Garden Beds & Rain Barrels. 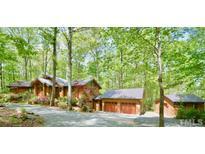 Walking Distance to NC Trail. MLS#2249726. 4797. Short Commute to RTP, UNC & Duke. MLS#2249613. 350. Delightful Japanese garden with maples and boulders. Convenient to Carrboro and CH. MLS#2249415. 64. Briar Chapel - This home has an awesome butlers pantry, built in bookshelves, and screened in porch along with a nice community lap pool, fitness center and miles of maintained hiking and biking trails and close to shopping! MLS#2249518. 4273. Cobblestone - Backs up to Carolina North Forest! MLS#2249387. 318. Newer roof, paint, landscaping & tankless water heater. Relax & move-in w/ confidence! MLS#2249331. 62. Briar Chapel - Beautifully landscaped with amazingly quaint backyard. What a value! MLS#2249344. 62. Abbotts Colony - New Wegman's coming a mile away. MLS#2249438. 118. Inspection reports and repair receipts in Documents MLS#2248938. 62. The Oaks - 9' ceilings on the main floor, abundant hardwoods, Pella windows, spacious master bath, updated K, home warranty, convenient to I-40, RDU, and UNC and Duke. MLS#2247919. 64. Convenient to UNC, Duke, RTP, RDU Airport, shopping, entertainment & medical. MLS#2249232. 3506. Chapel Hill schools & minutes from CH/Carrboro. MLS#2249109. 45. Convenient to UNC, Duke, RTP, RDU Airport, shopping, entertainment & medical. MLS#2249231. 3506. 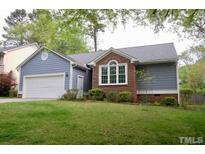 Laurel Hill - Gorgeous open floorplan with 3 sided fireplace , 3 full baths, screened porch, and deck! MLS#2249085. 326. You really must see. 3-D virtual tour. MLS#2249126. 81. Ridgefield - Lot extends past fence see survey. MLS#2249103. 2731.